My local theater puts on a Secret Film Festival every year. “The titles are secret, the awesomeness is not” is their tagline. Past titles include Hunt for the Wilderpeople, Slow West, It Follows, and What We Do in the Shadows. I made my third consecutive pilgrimage for the 12th annual event and saw some great films. You can read about my experience at the 10th annual fest here and the 11th here. The premise? Twelve hours of movie viewing from midnight to noon of unknown independent film festival favorites. Sometimes you are given a choice between two movies, and the host gives you a short description of the film beforehand. Described as a 70’s action/comedy. 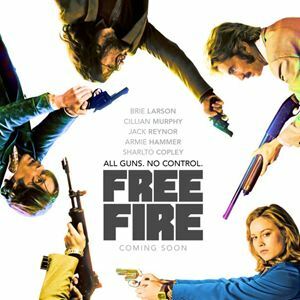 Free Fire is a film from the independent distribution company, A24, which is on my radar after reading about Rae’s A24 challenge. It’s very Quentin Tarantino’s Reservoir Dogs with a lot of violence and comedy. Gory brutality mixed with witty dialogue and a John Denver soundtrack makes the one location setting fresh and exciting. The cast is really strong with Brie Larson as the sole female role. The sound editing and mixing are phenomenal. The plot is simple, but executed with vertiginous choreography and efficient editing which keeps the film engaging throughout. I think this was a perfect choice for the opening film. Stevo: Do you have any headache pills? Stevo: Talk about a f'ing sledgehammer to crack a nut. First choice of the night. The options are a medieval convent comedy based on Boccaccio’s The Decameron, or a Polish comedy/drama/horror/musical with subtitles. I went with the first option. We were informed that the second option would be available to choose later, so I thought this was a smart move. 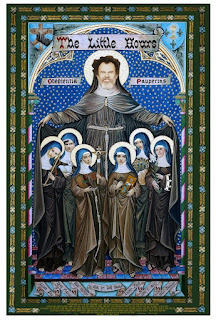 The Little Hours is a hilariously irreverent comedy with a stellar cast. It has so many of my faves! Aubrey Plaza, Molly Shannon, Nick Offerman, and Fred Armisen to name a few. It also stars John C. Reilly, Alison Brie, and Jemima Kirke. Dave Franco plays a servant boy on the run who takes cover in the convent. He soon realizes it might not be much safer since the nuns are overcome with wicked temptations of debauchery. Sister Fernanda (Aubrey Plaza): That’s just the tone of my voice. She is basically April Ludgate in a habit. The choices are a horror/mystery with disturbing imagery directed by the director of Trollhunter, or a film described as if Napoleon Dynamite and Rushmore had a scrappy Australian baby. Loving both of those quirky comedies, I went with the latter. 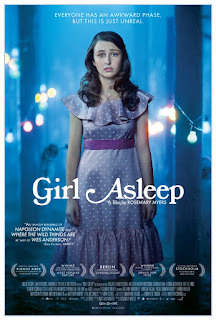 Girl Asleep definitely has some Napoleon Dynamite-esque qualities, but the Rushmore description didn’t vibe. It’s a coming of age story with a nightmare fantasy/adventure element that reminded me of Where The Wild Things Are. Great visual representations of the horror that is adolescence. Bethany Whitmore in the lead role is fantastic. There is also a very cool mythical character called The Huldra, which is a Finalandian warrior-ess that added to the strong female themes. It is the directorial debut of Rosemary Myers who directed the stage play. I hope to see more from her in the future. The fourth film gave me the opportunity to see the film I passed on earlier, but I still didn’t bite. I chose the horror/comedy/drama about the bond between a mother and her unborn child. Prevenge is a super dark look at how pregnancy can make you go kind of crazy. I so related to the main character’s feelings of being pregnant, how it can feel like a “hostile takeover” and that you are a “human sacrifice to [the baby’s] will.” I love that this was portrayed in a dark comedy-style horror film. Oddly enough, to me, pregnancy kind of lends itself to this genre rather than fluffy rom-com flicks. 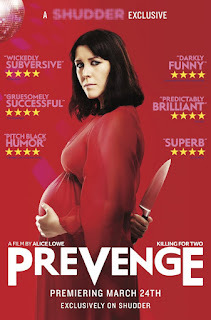 Alice Lowe wrote, directed, and starred in the film while seven months pregnant. That fact is impressive by itself, so it’s even more inspiring that the film is so outstanding. I chose the second because I really love Donnie Darko. 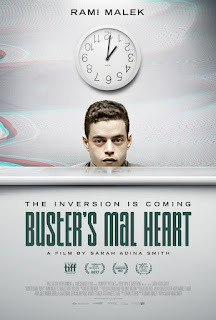 Buster’s Mal Heart is a time-traveling mind-bender. 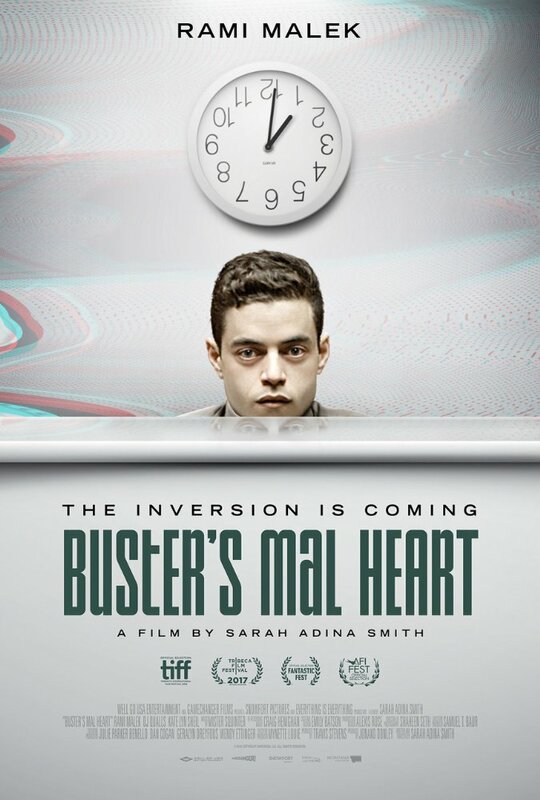 Rami Malek is great in the titular role, which is good because you spend the whole movie with him. I love stories about wormholes and the space-time continuum, even if I don’t really understand it. This film is a deeply intimate look at how these theories can create a paranoia and a singular obsession in the most mild-mannered people. No more decisions to make. The final two films are not options. 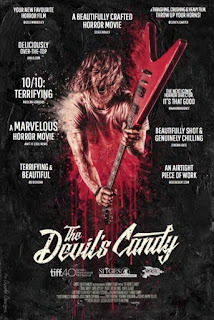 This makes me nervous because the sixth film is described as a horror film about heavy metal and family and Satan. I’m not really good with horror or Satan. Going to Catholic school for most of my education kind of made anything having to do with demonic religious themes scare the crap out of me. If I had a choice at this point, I would’ve chosen the alternative. Not to mention that it is now the morning of Easter Sunday, so watching a movie about Satan seems a tad sacrilegious. I armed myself with popcorn and mustered the courage. Well, this was absolutely terrifying, but in an absolutely entertaining kind of way. 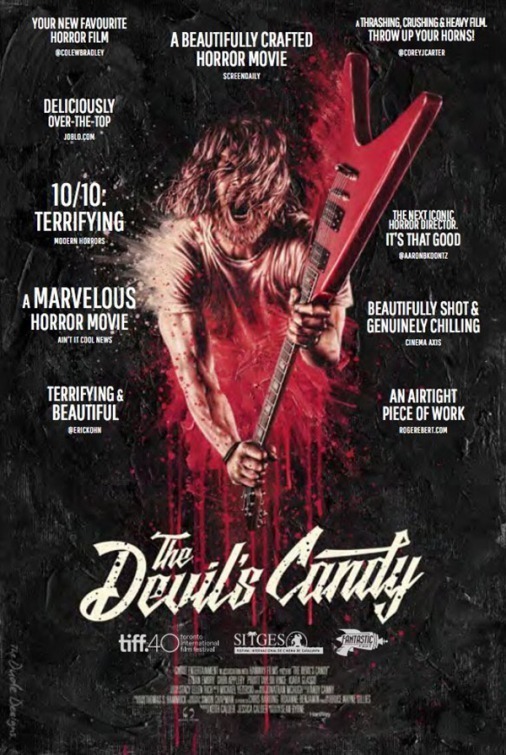 The Devil’s Candy has satanic forces, a haunted house, and a really adorable heavy metal-loving family. I like that the filmmakers chose not to go campy and presented a straightforward narrative without straying from the elements that make the horror genre so captivating. I thought it was so twisted to be watching this movie on Easter, but the ending actually made me think of this as a perfect film for the holiday. And I swear I’m not saying that under possession of the Devil. 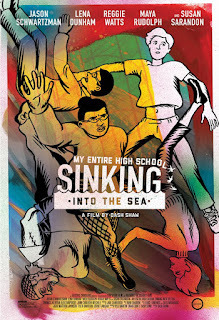 The closing night (day) film is an animated film about high school, with a warning for people with photosensitive epilepsy. If this was a graphic novel, I would’ve been all over it. It was initially created as a comic short story, actually. I don’t think it’s very successful in the animated feature format. My Entire High School Sinking Into The Sea has an impressive cast of voice actors starring Jason Schwartzman and including Susan Sarandon, Lena Dunham, and Maya Rudolph. The animation has a strobe-like effect (hence the warning) that is somewhat irritating to watch. That coupled with the frantic nature of the plot made viewing this film kind of exhausting. It could have something to do with the fact that it is at the end of a long marathon, but my past two experiences at the festival had humorous closing films where my punchy demeanor enhanced the viewing. The title describes the plot of the film. It takes all those high school personalities that we are familiar with and puts them together in a confined space during an emergency. While it is amusing at times, I found myself quite bored, so it was a little bit of a disappointing ending. 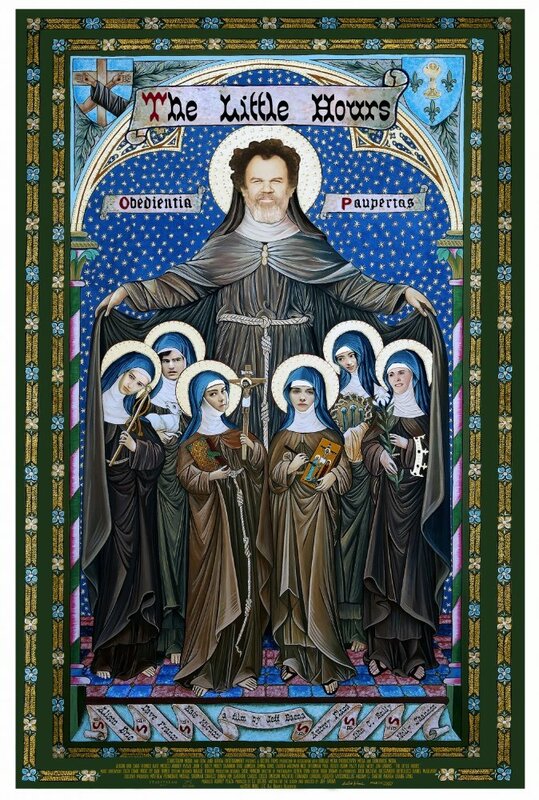 I think The Little Hours would have been the better choice to close the festival. You know how it is weird when you go to a matinee and you come out of the theater and it is still light out? Well, it’s even weirder to go in at night and come out in the middle of the day. The Secret Film Festival is a unique experience, and one I look forward to every year. I enjoyed almost all of the seven movies I watched. It was promising to see some films directed by women and so many strong female characters. My favorites were Free Fire, Girl Asleep, and Prevenge. Do you think you could survive The Secret Film Festival? Would you have made the same choices as me? Let me know in the comments!